Radiohead.com just posted an announcement that tonight’s show at the Santa Barbara Bowl will be webcast live as a celebration of the end of a successful tour. The text of the message goes on to describe the occasion and the band’s feelings about playing the Santa Barbara Bowl. “We’ll be playing live in Santa Barbara, at the Bowl. It’s one of our favourite places to play; I think we’ve ended tours there before, once even playing a cover of ‘ cinnamon girl ‘. It’s not too big, in fact it’s very intimate, a small arena with a dirt floor, set in pretty countryside. It should be a special night, for lots of reasons, and we’re going to try and share as much of it as we can on the webcast. Nigel, our producer, will be helping out getting it to you, so if it goes wrong….It’s live! 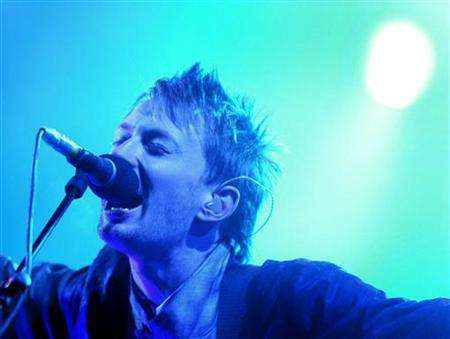 Visit radiohead.com for information on how to access the free live webcast.